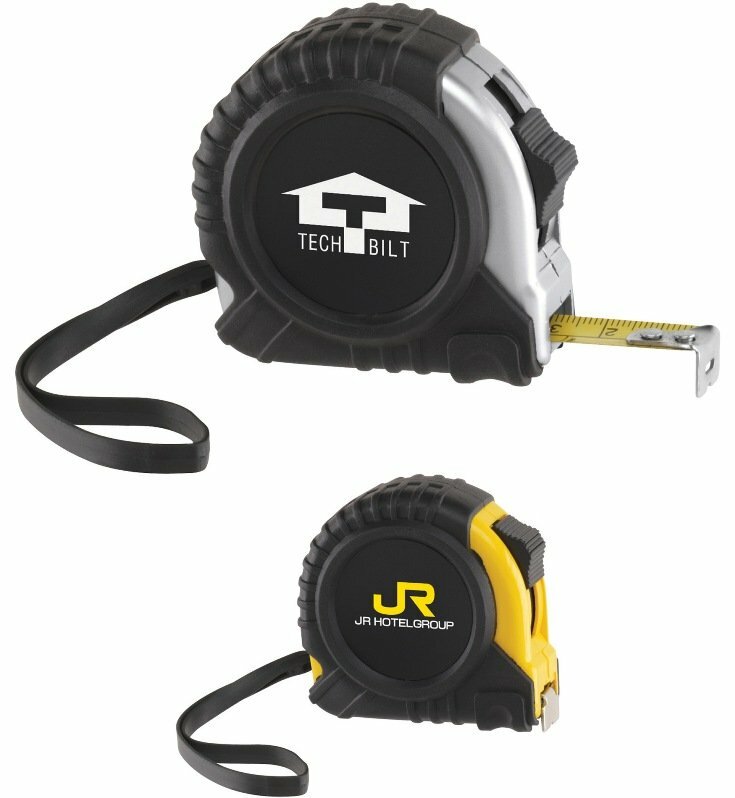 All Black Tape Measures with choice of Silver or Yellow Trim. You may assort the colors in 200 unit lots using the same imprint color. The above color choices are ONLY for a one color imprint on tape measures. Imprints over one color on some tapes are printed in digital 4CP, no metallic colors.